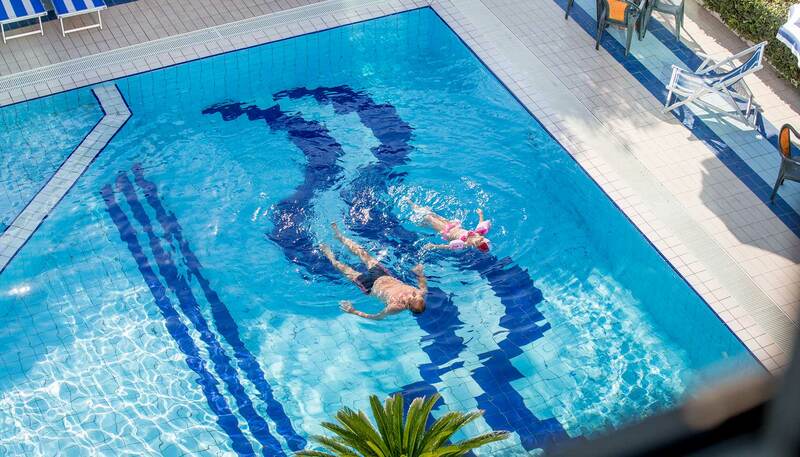 Ambassador Hotel offers to its customers a large swimming pool with 2 levels of depth, ideal both for those who prefer swimming and for those who prefer bathing in shallow waters. 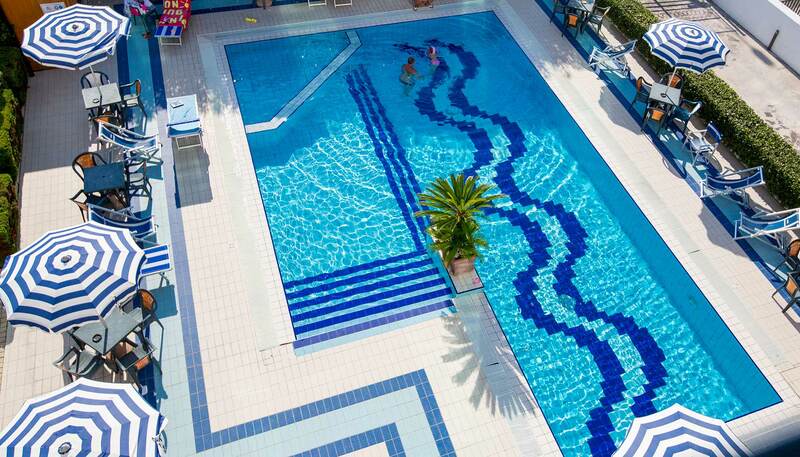 Surrounded by a welcoming garden, the swimming pool is situated on the back side of the hotel. 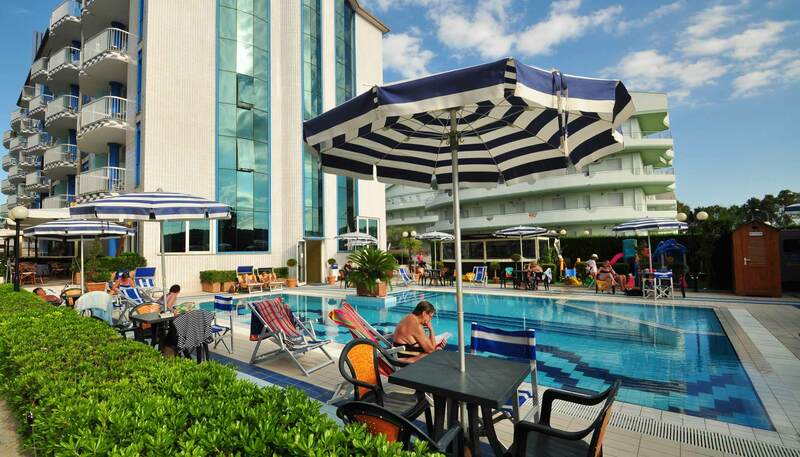 During summer it is equipped with sun lounges and deck-chairs, that together with the bar service and the baby club will contribute to your sunny and relaxing stay. 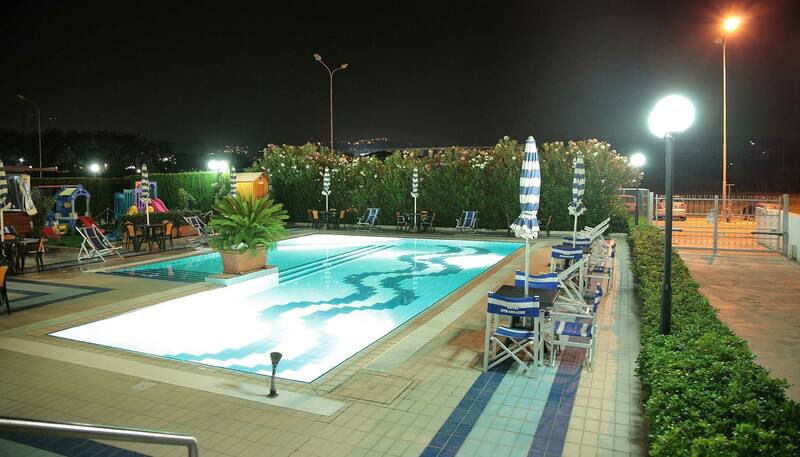 Choosing a 4 star hotel in Abruzzo means choosing all this, offering to yourself and your family a pleasant stay. 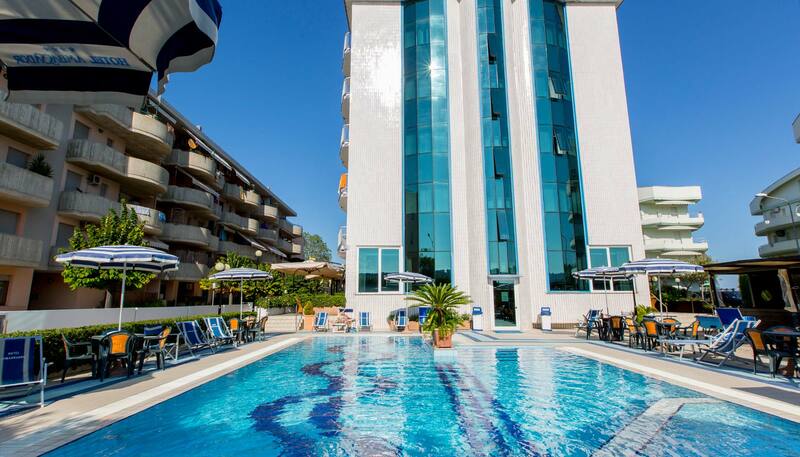 The Ambassador, with its swimming pool, all additional services and many offers for your beach holidays in Abruzzo, is a hotel that guarantees a stay in Tortoreto Lido rich in entertainment and relax.